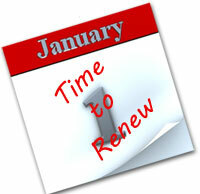 Customer retention is essential to companies offering renewal products. Most people don’t think about their insurance or banking until they have an issue that needs resolving or they receive a renewal notice. This makes it easy for the competition to steal your customers. 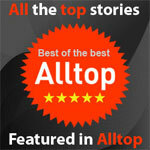 Your competitors promise lower prices and better services. Both promises are extremely hard to validate. The out-of-pocket price may be lower but the coverage or services are probably not the same. Sorting through contractual agreements to identify the benefits is so difficult that even lawyers find it challenging. Quality of service is even harder to validate than the price comparisons. How much service do you really get with a certificate of deposit? If you never need to file an insurance claim, how can you say one company is better than another one? If you do file a claim, how do you know the process would be easier with another company? Odds are, there will never be two identical accidents or events. Any attempt to make a comparison is a waste of time. Customer satisfaction is a matter of perception. If your customers believe that your company cares about them and your pricing is competitive, they’ll never leave. Your objective is to create an environment where customers feel valued and empowered to make good decisions. Regular communication that provides educational information improves retention. An educated customer is a retained customer. Email is an excellent tool for communicating with customers and prospects. It is relatively inexpensive and can be set up to provide information in a timely manner with minimal maintenance. The top four areas in the customer lifecycle can be improved and managed with email. This includes acquisition, retention, sales, and service. When done well, it reduces operating costs, increases revenue, and improves satisfaction. Identify your customer relationship breaking point. What’s the normal lifespan of your customers? Is there a particular point where customers tend to be lost? Are there specific activities that happen prior to losing customers? Knowing where the relationship breaks is the first step in fixing the problem. Define your marketing and service benchmarks. Establishing benchmarks creates a baseline so that you can clearly monitor the effectiveness of marketing and retention campaigns. Attributing revenue and retention can be extremely challenging in a global fishbowl and multichannel world. Having benchmarks allows you to see that your campaigns are working even if you can’t specify the most effective areas. Target your customer pain points. People worry about things. Reducing the stress for your customers makes them want to stay. The news provides content every day that increases stress and gives you topics to discuss with your customers. Choose timely subjects and answer the questions people have before they ask them. Design a marketing, retention and service campaign for each renewal category. Use the information acquired in reviewing relationship breaking points, benchmarks, and customer pain points to design a comprehensive campaign. It should begin as soon as a new customer is acquired or any existing customer renews. Optimize outgoing emails to improve deliverability, searchability, and readability. This insures that your emails get to your customers, are available on demand, and are easy to understand. Optimization increases your marketing reach and response. It also makes it easier for smaller companies to compete with larger organizations. 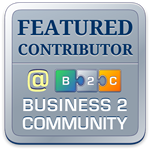 Commit the resources necessary to create and manage effective campaigns. 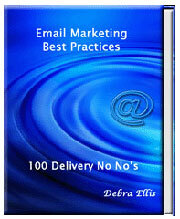 Email marketing and service strategies require a set up process. Once done, emails are like a semi-automatic tool that keeps working with minimal maintenance. Investing in doing it right from the beginning reduces churn rates and keeps your campaigns working well longer. 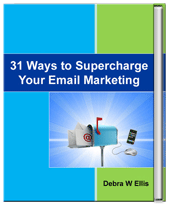 For specific ideas on creating acquisition, retention, sales, and service campaigns, check out 31 Ways to Supercharge Your Email Marketing.